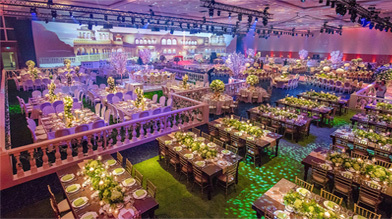 We have quickly grown a reputation for creating and delivering spectacular, transformative wedding venue styling services. With boundless creative energy and vision, our Director Parvy designs bold and elaborate themes and concepts which always have your dreams and aspirations at their core. Using a variety of professional design programs, such as Photoshop and AutoCAD, we can help you to visualise how your wedding venue will look so that you’re confident that it will be perfect on the day. 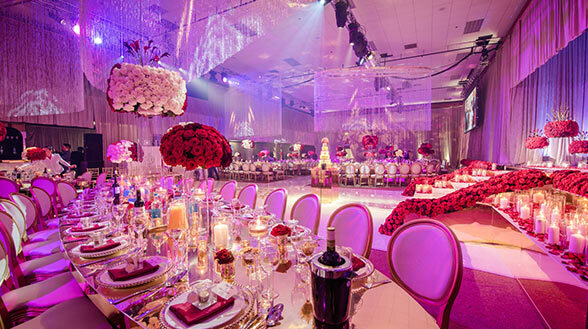 As an extension of SNOB Events' wedding planning and design services, we offer our clients bespoke venue styling. Our Director Parvy harnesses her creative energy and vision to make your dreams and aspirations reality, taking care of everything from lavish floral arrangements and table centrepieces to water features, trees and plants. Exploring every element of your theme, we can transform your venue with props, draping, ceiling decor and backdrops as well as lighting, audio-visual effects, big screen and 3D projection mapping and laser displays, temporary dancefloors, stages, chill out areas, tents and gazebos. 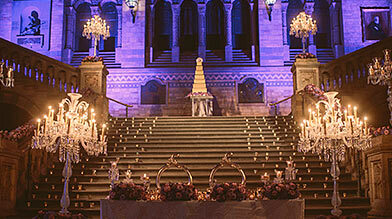 The main focus of our company is our bespoke luxury wedding planning, design and management service.